Africa is filled with unbelievable scenery, luscious landscapes and monstrous beauty. While the continent has its fair share of postcard destinations, someitmes it’s the road less travlled that really needs to be celebrated. 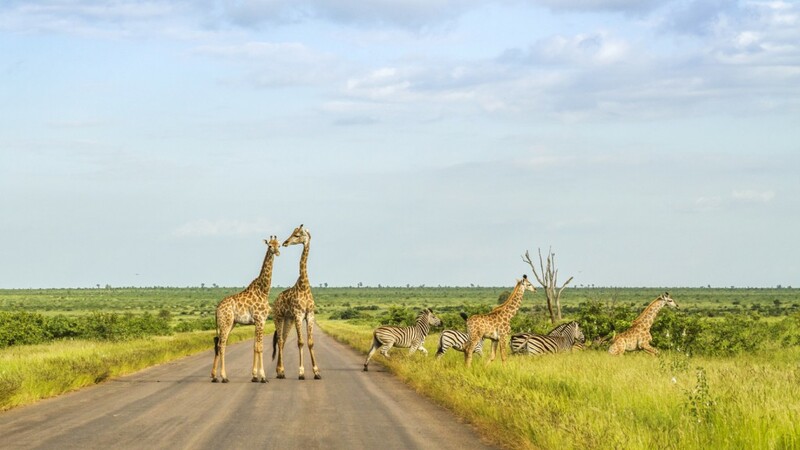 As such an expansive and diverse part of the world, it’s no surprise Africa still has so many lesser-known attractions; places where tourists are few and an adventurous spirit is paramount. Luckily, you don’t need to go deep diving through the internet to find out about these spots, as we’ve done it for you. So without further ado, these are Travel Weekly‘s top hidden gems of Africa. Let’s start off with Kruger’s private reserves. Located in Northeastern South Africa, Kruger is home to what is commonly referred to as the ‘Big 5’: lions, leopards, rhinos, elephants and buffalos. Though hundreds of different species also make their home here, as do an array of bird species including vultures, eagles and storks. To find out more about Kruger, and the tours available, click here. Looking to feel like you’re on another planet without having to leave this one? Not a problem, just head to the Namib Dunes. 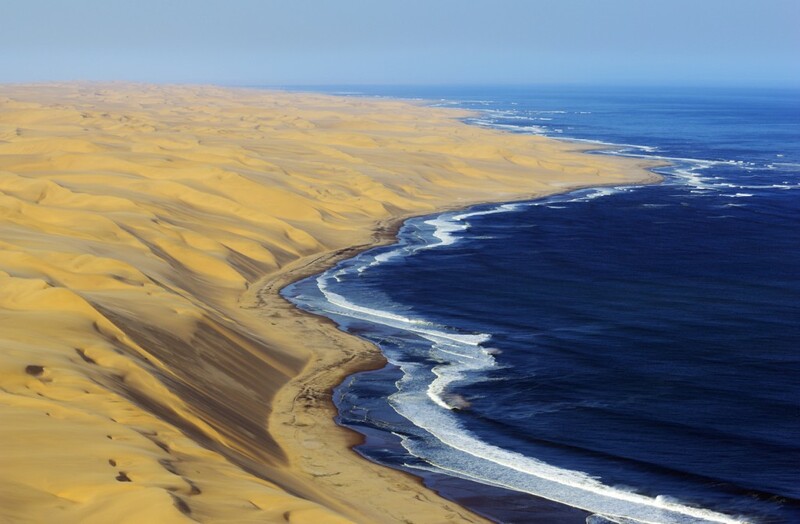 Situated in a coastal desert in southern Africa, the Namib literally translates to “vast place”, and at 50,000 square km and dunes boasting 300 metre-high dunes, it’s not hard to understand. The sheer size of Namib-Naukluft Park paired with the eye-watering colours of the dunes which turn orange, red and peach in the sun, will have you feeling like you’re in a Star Wars film. Check out tours and information about the dunes here. The Cango Caves are not for the light-hearted traveller types. 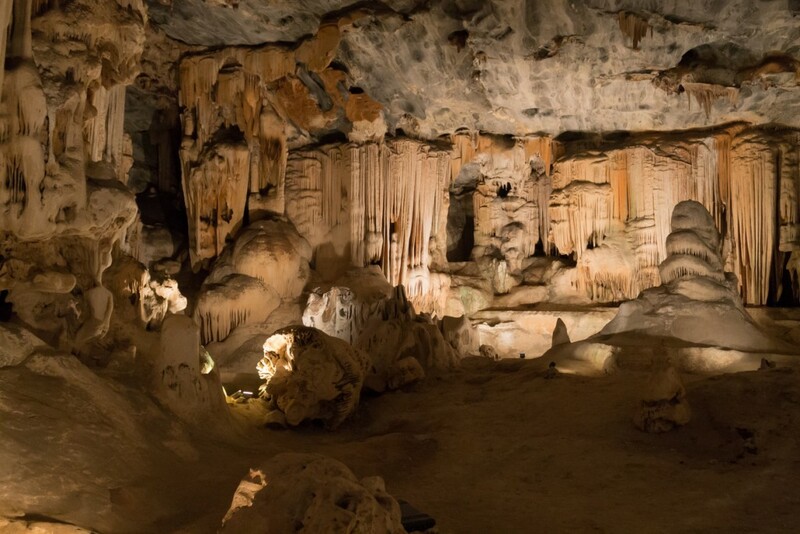 Located in South Africa, Cango Caves are found in limestone ridge next to the Swartberg Mountains in the Cango Valley, just 29km from the small town of Oudtshoorn in the Klein Karoo. Experienced caving guides will accompany you through your tour as you wind through this subterranean world. Find out how to experience these caves and available tours here. Feeling like the previous gems are a little on the crazy-side for you? More of a ‘take it all in and relax’ kind of traveller? With Table Mountain as your backdrop and the Atlantic Ocean in front of you, a stay at Winchester Mansion is nothing short of spectacular. The Mansion, third-generation family-owned hotel, is located in the centre of Cape Town and has remained true to its original Cape Dutch architecture. Leisurely travellers winding back, sipping on a local beer amoungst the bouganvelia would be forgiven for feeling like they’ve stepped into a 1950’s move set. Learn more about the exquisite hotel here. Hoping to see these hidden gems in the flesh? Click here to make that happen.